Everyone adores the Bucktown All-Stars! They are one of the funnest band in New Orleans, and it's always a blast to photograph a reception where they are performing. 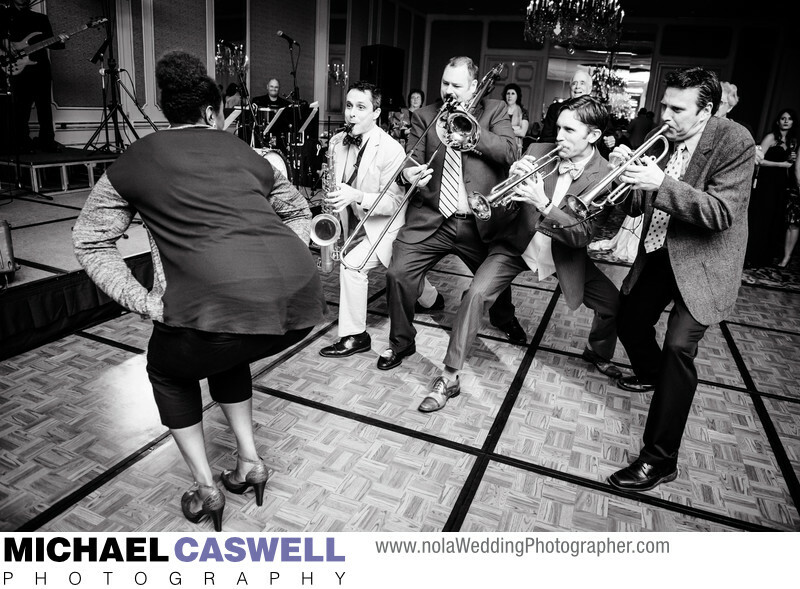 I especially love when the horn section ventures out onto the dance floor with the guests, like with this image. This wedding reception took place at the elegant main ballroom of the Omni Royal Orleans Hotel in the French Quarter. Location: 621 St. Louis Street, New Orleans, LA 70140.